Image: David Fisher, Nina Prommer/EPA-EFE/Shutterstock. The Lady Gaga romance rumors are getting out of hand. 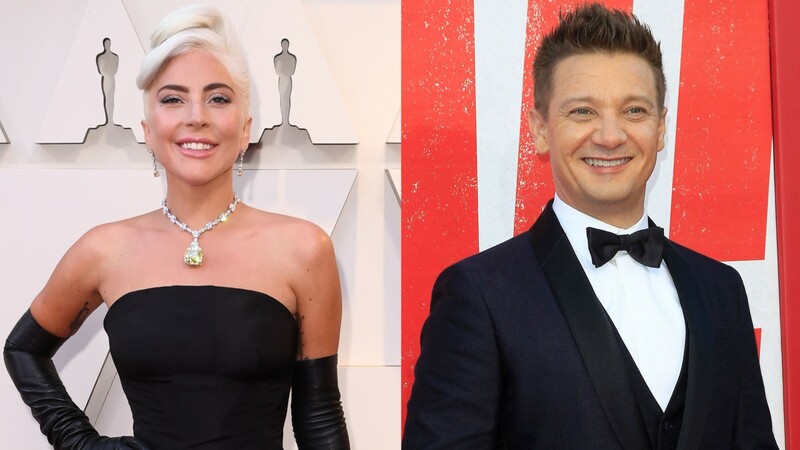 On Thursday, Us Weekly reported that, according to claims from an unnamed source, Gaga has been spending time with Avengers actor Jeremy Renner. These claims about a potential new love interest for Gaga comes just as the dust settles on rumors the Academy Award winning singer was involved with her A Star Is Born costar, Bradley Cooper. The claims of a budding Gaga and Renner love connection come just a month after Gaga split with her now-ex-fiance, Christian Carino, in mid-February. Gaga and Carino had been together for two years and engaged for one before their split. To date, neither have commented at length about the split but reps for Gaga did confirm the split happened. Shortly after news of her breakup with Carino, Gaga found herself linked to Cooper following their electric Oscars performance of “Shallow,” the singer was forced to shut those rumors down, calling Cooper a “true friend” and unequivocally stating that they were friends and nothing more. Reaction to the Gaga-Renner connection has been lukewarm to mixed on Twitter, with some in disbelief and others joking that they’re still holding out for the singer to hook up with Cooper. Lady Gaga was hanging out with Jeremy Renner? She's one step closer to joining the Avengers. highkey ignoring all those jeremy renner & lady gaga rumors because i wanna stay in my little bradga bubble. Lady Gaga is dating Jeremy Renner? I've heard odd stuff but this is another level. One Twitter user also posted a series of videos from a performance Gaga did at the Black Rabbit Rose in Los Angeles, California recently where they claim Renner was also present. The user claims in the captions Gaga invited Renner onstage to accompany her singing but the videos never clearly show Renner. That said, you can hear in both videos a male voice singing that might (might!) be Renner’s, but we hesitate to claim it’s actually him. To think that Gaga and Renner are exploring a romantic relationship when we know nothing about their actual relationship to one another, even as friends, would be foolish. And also, crucially, can we just take a damn chill pill in assuming that any man Gaga is within a 5-foot radius of is her new beau? She’s allowed to be around men and just continue living her best life. We don’t need to be her million-dollar matchmaker!